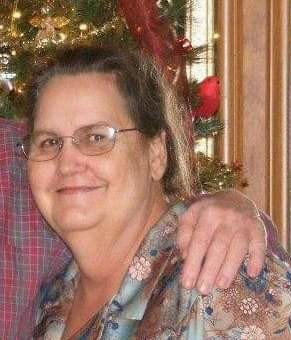 Mrs. Loretta Whitehead, age 69, of Girdler, Kentucky, departed this life on Tuesday, March 19, 2019 at Hazard ARH Hospital. She was the daughter of John Henry Ray and Bertha Napier Ray, born to them on November 19, 1949 in Harlan, Kentucky. She was united in marriage to Walter Whitehead on July 27, 1966, and to this union three children were born. Loretta was a member of Hughes Hill Holiness Church and she loved to sing, go to church, she enjoyed birds and especially loved her grandchildren. She was preceded in death by her parents John Henry and Bertha Napier Ray, brothers Denver Ray, Homer Ray, Charles Edward Ray, Bige Ray and Bill Ray, sisters Arie Ray, Evelyn Jean Whitehead, Mary Brock and Gracie Day, daughter Vernann Whitehead and granddaughter Anessya Roshell Whitehead. Left behind to mourn her passing are loving husband of 52 years Walter Whitehead, sons Walter Whitehead, Jr. and wife Madonna of Barbourville, Kentucky, Rev. John Whitehead and wife Brooke of London, Kentucky, brothers James Ray and wife Alleen of Indiana, Clarence Ray of Leslie County, Kentucky, and Wayne Ray of Harlan, Kentucky, sister Chloe Stewart of Harlan, Kentucky, grandchildren Travis Whitehead and wife Holly of Indiana, Taylor Hamblin and husband Andrew of London, Kentucky, Ashlyn Whitehead and fiancé Brad Nolan of London, Kentucky, Morgan Poore and fiancé Nathan Garrison of Barbourville, Kentucky, Macy Leigh Whitehead of Barbourville, Kentucky and Lauren Dabney, great grandchildren Dawson Whitehead, Bentlee Whitehead, Kinley Noe, Karleigh Whitehead, Bailee Hamblin, Presley Grace Whitehead, Hudson Reece Nolan and Gunner James Garrison. She is also survived by a host of nieces, nephews, church family and friends to mourn her passing. Funeral services for Mrs. Loretta Whitehead will be held on Sunday, March 24, 2019 at 2:00 p.m. in the Cobb-Hampton Funeral Home Chapel, with Reverend Tom Elliott, Reverend Tommy Frazier, Revered Bobby Holland and Reverend Jerry McKinley Holland officiating. Burial will follow in the Napier Cemetery at Bledsoe, Kentucky in Harlan County. Cobb-Hampton Funeral Home is in charge of all arrangements. Friends will be received at Cobb-Hampton Funeral Home on Friday, March 22, 2019 from 6:00 – 9:00 p.m. and on Saturday, March 23, 2019 from 6:00 – 9:00 p.m.
To the Whitehead family, the staff of Cobb-Hampton Funeral Home would like to express our heartfelt sympathy during your time of bereavement.